Feed your creativity on a delightful diet of texture and colour at Cat & Sparrow UK. 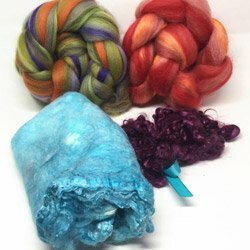 We have gorgeous hand dyed and custom blended fibres, batts, hand dyed yarns and speciality silks. We also sell beautiful tools for making beautiful things, including 3D printed spindles, stitch markers and Lykke knitting needles.